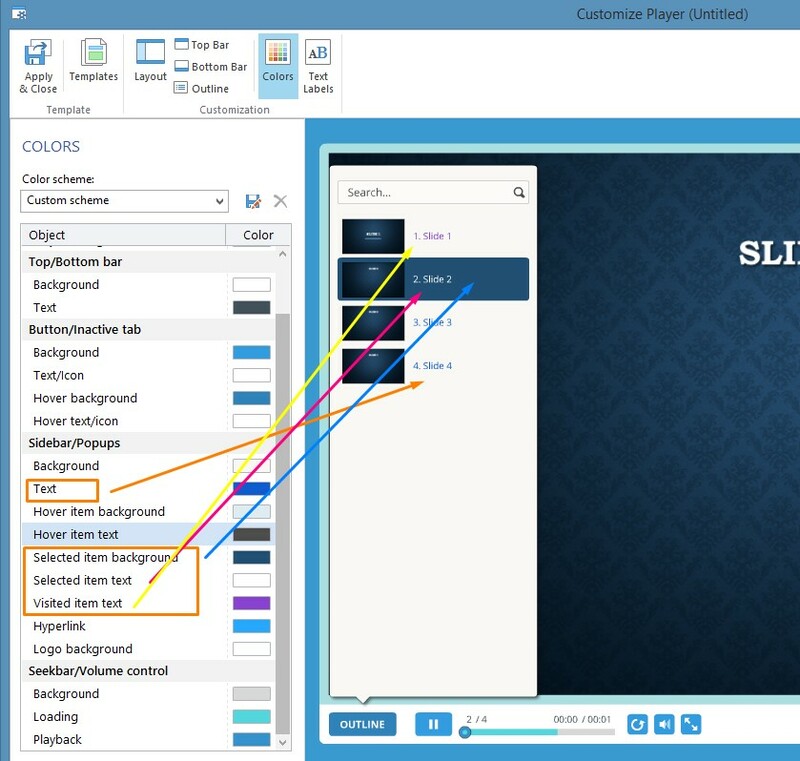 in presentation player outline, I found the custom setting for highlighting the slide title when slide is viewed, and also how to set custom highlight color. I tried to find a custom setting to change the highlight text style to emphazise the viewed status to the user, but, is there a way to change the text style? Also, it would be great if a custom icon / image could be overlayed on top of slide thumbnail, like a check mark or something clearly visible, when the slide has been viewed!!! Glad to hear that you work with our Player Customization features! What exactly would you like to change as the text style? I have to say that iSpring presentation player has the default font (Open Sans) that can not be changed with the built-in options. You can't also mark the visited slide with any special icon. After that you can send it to support@ispringsolutions.com. I'll be glad to forward it to our Product Development team for consideration. Thanks in advance!